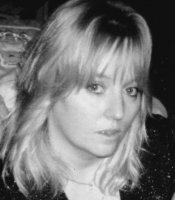 Markie Antle is a Certified Professional Bookkeeper and QuickBooks Advanced Gold Pro Advisor with over 20 years’ experience working with businesses, professionals, and solopreneurs. She is skilled in developing effective bookkeeping solutions that maximize resources and provide the most useful information for managers. Starting out as a bookkeeper doing small business accounts and she worked her way up to Sr. Bookkeeper, and then to Controller handling larger corporate accounts. She studied accounting at both Humber College and Ryerson and has worked in many different industries, which has given her a thorough understanding of how to help clients in various industries succeed as well as save valuable time and money. Anytime. Anywhere. Remote Access To Your Files with Real Time Financial Access. You can choose to enter your own data and have us reconcile and close your month with prepared financials or you could have our team of experts handle all postings. Customized and a la carte packages available. Our payroll experts are trained to manage your payroll whether large or small. We ensure your employees get paid and that the correct remittances are made to CRA on time, all the time. We can provide weekly, bi-weekly, semi-monthly or monthly payroll. which includes T4, T4A, T5018, WSIB, EHT, year-end filings, payroll reports, direct deposit, or cheques. Document Management allows your business to stay organized with paperless filing systems, saving you time and money. Secure, with Anytime, Anywhere Remote Access to your files. Tired of handling all your bills and want an easier solution. We will receive, post, and pay all bills. No more late fees or paperwork. You will receive a bi-monthly report of upcoming bills that are due and submit 1 payment for all bills. 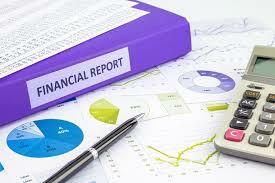 We can produce financial reports every month, 3 months, or every year. Reports include the balance sheet, an income statement, a cash-flow statement, A/R & A/P, or a budget report with actual analysis. These reports are essential to show your company financial position, health and forecast profits for every business owner. We will prepare your T1 Personal Income Tax Return and e-file it with the Canada Revenue Agency. By e-filing your return, you will be able to receive your refund in about one week. Are your books in a mess? No worries. We can pick up, sort, process and complete back year financials at a discounted, prorated monthly rate. We quote up front so no surprise invoices! Holding onto receipts has long been a pain for the average business owner. 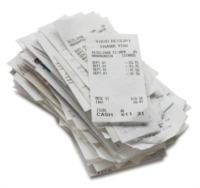 Receipts get lost or damaged and when tax time comes, it’s hard to remember why the purchase was made. Now, just take a picture of receipts on your phone and we will categorize the expense in your accounting software, store the receipt image online, and make sure everything ties back to your business bank account. Employee expense management is time-consuming. We use mobile applications and expense management tools to handle your expenses. You and your employees no longer have to create expense reports. We ensure that every expense is tracked, categorized and reported accurately.